Think fifth: A common mistake Torija sees dancers make is a rond de jambe instead of dégagé à la seconde, which causes them to piqué almost through fourth position. "Go towards fifth, the legs very tight together, and immediately replace one for the other." It's the tombé that travels, she clarifies, not the piqué. "The arms are a prolongation of your back": As you dégagé, the leading arm—the right arm, if you are turning to the right—opens in a curving motion to a little allongé before closing to first with the piqué. "You need that impulse, coordinated with the legs, to turn the torso." But beware of opening the arm too wide, Torija warns: "It looks like you're fighting with the turn." Find your axis: As you go up into the turn, Torija instructs, "feel that you're going in towards your own center." This will help you feel compact for the speed of the turn. "Be as flat as a sheet of paper in the passé, with your back and sides engaged so your arms are aligned in the middle of your body." There are two correct ways to execute a piqué en dehors. Torija teaches both, beginning with "the academic way"—taking the tombé forward on a diagonal, spotting the corner. 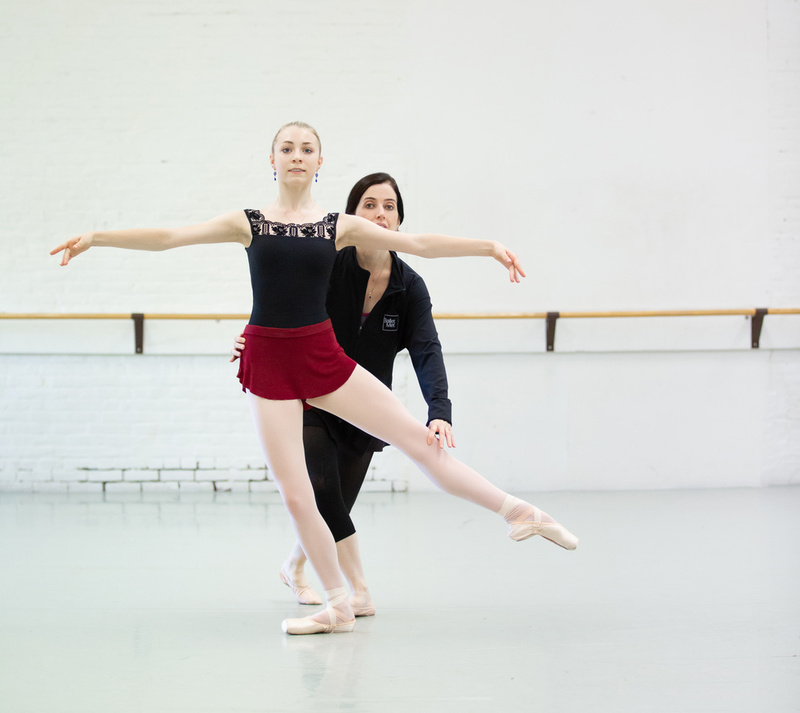 "Once you have the dynamic and coordination of the turn, then you can go the more sophisticated Balanchine way: tombé side, and spot front. It's important to know both." Keep the dégagé low and rotated. "In the book they say 45 degrees, but I think it looks nicer a bit lower. Ballet always has to look elegant." Torija notes that lifting that dégagé too high also risks destabilizing the hips, which throws off the turn. "Keep the turnout of that leg. The movement is so exposed there; you want that beautiful flatness of the seconde."